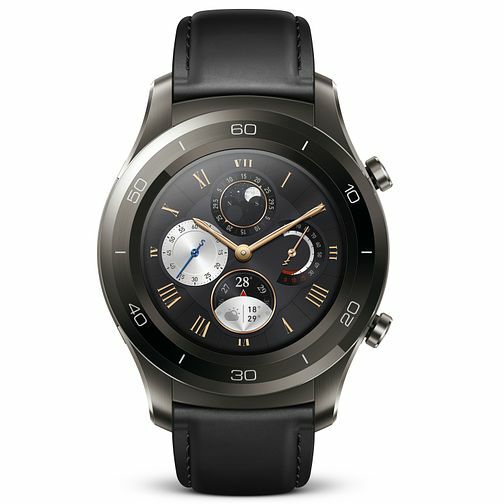 Technology meets fashion with this Huawei Watch 2. Get calls and messages whenever you go, which is compatible with both Android and iOS. With built-in GPS and Heart Rate Monitoring to keep you on track on your fitness goal. Huawei Watch 2 Bluetooth Classic Smartwatch is rated 5.0 out of 5 by 2. Rated 5 out of 5 by Anonymous from Great product but substandard seller The watch is awesome but the same cannot be said for HSamuel. Rated 5 out of 5 by Anonymous from does what it says very well well built, great quality probably one of the best android wear watches on the market at the moment.